Kevin here, this is my first post on the site so here goes! Just wanted to say a little on my experience today at the Salvation Army Toy Distribution. As expected the flood of 2008 and the crappy economy has increased the numbers taking part in the program and they even had to add a extra half day to complete the toy distribution. But thanks to my job allowing volunteer time this is my third year helping out with the toy distribution and food giveaway. It’s not all fun and games though and a lot of work at least what I am doing. My job usually included helping people get toys out to their cars, keep people moving or helping put the boxes together with turkey or chicken dinners. Typically a person goes in picks out a couple toys, couple stocking stuffers, a couple stuffed animals and a couple books, then everything is packed up for them, a diner is placed in their cart and I got to push the cart thru the snow filled parking lot to stuff all the things into their car. After today I really hurt all over. Most people are good during the experience and thankful for the generosity of the Cedar Rapids Jaycee’s, Salvation Army and Toys for Tots. But their is always some interesting experiences here and there that keep me coming back. Every time a person opens up their trunk or car doors to let me in you learn a little bit about that person, if they are a smoker, have kids or may have vomited recently. Well today one of the participants opened up their trunk and they had a blown tire, that would explain the tiny little spare tire they had. Anyway, the person just said let me get rid of this and took the blown tire and threw it into the trash bin on the outside of the building. I tried to explain she may want to keep that since they still need the rim to fix the tire but the person didn’t seem interested in my explanation and said Merry Christmas and drove away. Someone is going to have some explaining to do to someone as to why they threw away the rim of one of their tires! Black Friday Madness!!! now more FATALITIES!!!! 11/29/08 10:50 AM-Black Friday Update 2… Now I hear 3 dead in shooting at a California Toys R Us.Â Now that is crazy!Â Â Â Read the CNN storyÂ here. Congratulations to the Cedar Rapids Rollergirls!!! Congratulations Cedar Rapids Roller Girls on you first victory against the Quad City’s Rollers!Â Â Way to go!!!! Be sure to check them out in November for theirÂ “Wish Bone Breaker” bout against the “Big Mouth Mickies” from Clinton, Iowa. Some of the Cedar Rapids Rollergirls will be in studio Thursday nightÂ for Episode 5 of The Canman Show!Â Â That’s gonna rock!Â err… Roll! Do you love movies?Â Â Â I’ve been playing the Hollywood Stock Exchange for a few years now.Â Â Â It’s worth checking out.Â Â Basic gist is they start you out with 3 million in fake money, you invest it in movies.Â Â Based on how they do in the real box office, the stock goes up, or down… Great Game….Â Â Check it out. The Sword of TruthÂ books by Terry Goodkind are being made into a new TV show produced by Sam Raimi and others for Disney/ABC syndication.Â Â It’s scheduled to Premiere on November 1st.Â No word on which network yet.Â Â It’s called Legend of the Seeker.Â Â I love this series of books, but am nervous about the translation into TV.Â Especially if Disney has it’s hand in it.Â Â I don’t want Kahlan turned into Hannah Montana…. 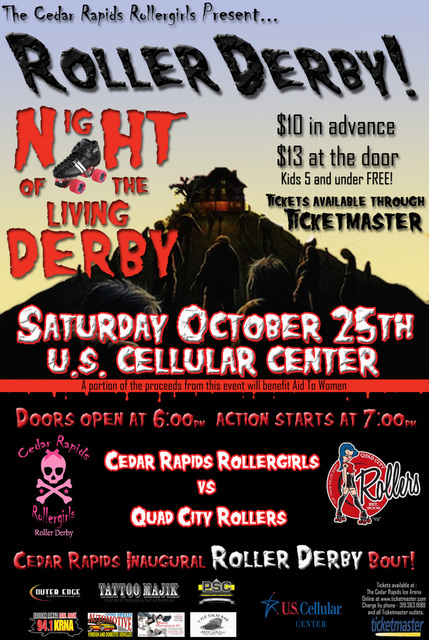 Cedar Rapids Rollergirls “Night of the Living Derby”! 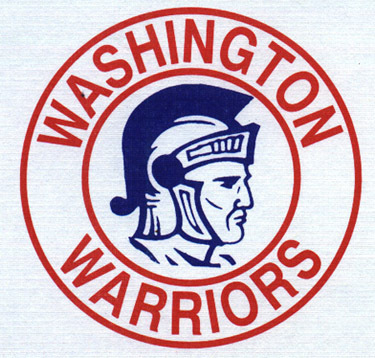 Congrats to the Cedar Rapids Washington Warrior Marching Band! Is the Holodeck a reality? Read CNN’s facinating article about it.